At MamaBreak we LOVE subscription boxes! We like the variety that are being offered, and when we heard about BarkBox, we knew we HAD to try it! I have two dogs. 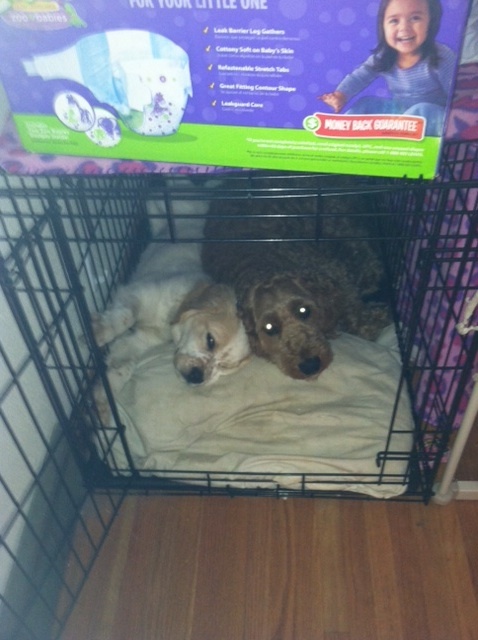 One a Golden Doodle and one a Mini St. Bernard. Of course, I HAVE to share pictures of them! BarkBox is a monthly box you can order for your dog. It is $17 a month, and 10% goes towards a donation to a shelter (we love getting mail AND helping!!!). You choose the age and size of your dog, and they send a box made specifically for your dog. We ordered the medium dog box. What was in our box? Milk Bone Trail Mix. 1 oz. Based on per ounce price at Amazon: 51 cents. Total Value: $37.68. We also love that they provide items that you may have not heard about, but your pet may love! We are always looking for new treats for our dogs, so we think this box is perfect! Want to order your own or find out more? CLICK HERE to visit the BarkBox website and save $5 off of your order! MamaBreak received a BarkBox for review here on the website. MamaBreak did not receive any other compensation for this review, and as always our opinions and experiences are our own! very cool!! Ty for sharing! 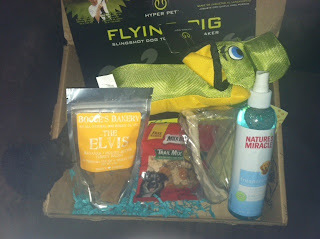 Bark Box looks great, such a nice selection of items!! I wish I had dogs, I would most definitely get them this box! Everything is so cute, what a great idea! I could have made use of this back when we had a dag....love the idea behind it, though! How adorable! Love subscription boxes. You got a lot of cool stuff! I never heard of them before. Great idea.